Filled with early images, many from private collections and never before published. Read about the Momomoy Disaster, in which seven life-savers perished while attempting to rescue the crew of the barge Wadena. 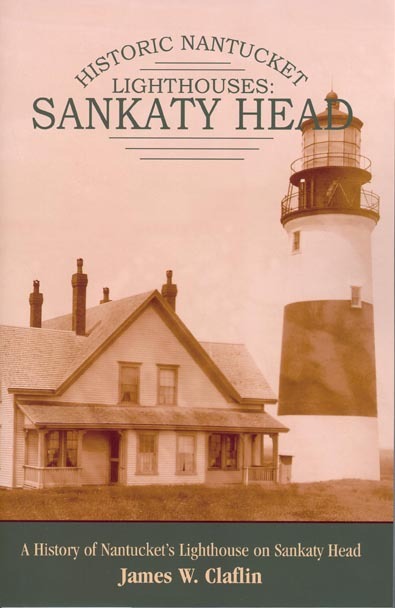 Read about Nauset’s famous “Three Sisters” lighthouses, the only such lighthouse configuration in the country, why they were built and what became of them. 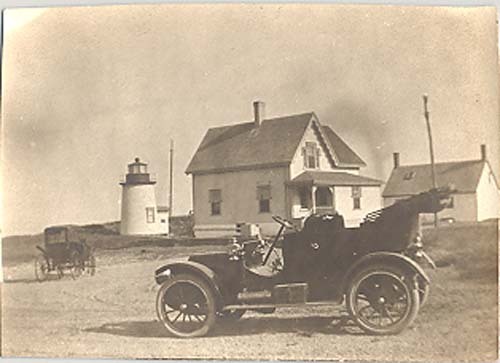 Read about the Chatham lights and why they were moved so often. 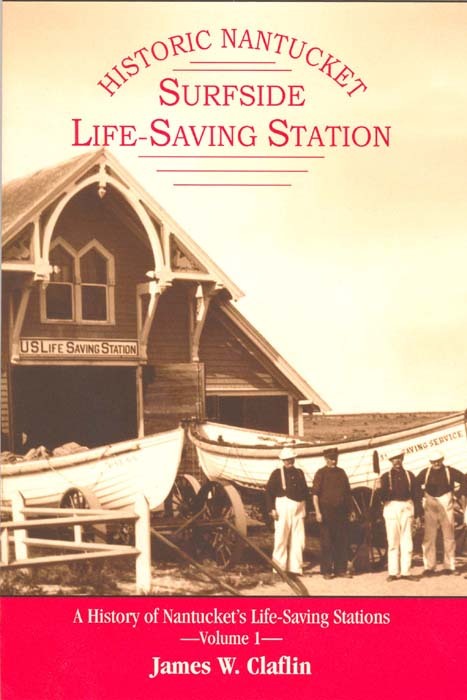 Read about the Old Harbor Life-Saving Station, who’s crew rescued 34 persons in the first five years of operation. 1443. 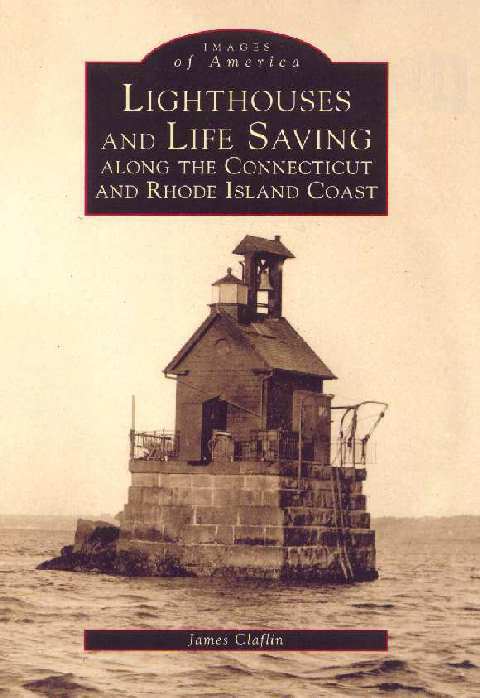 Claflin, James W. Lighthouses and Life-Saving Along Cape Cod. Arcadia. 2014. 128p. Soft wraps. 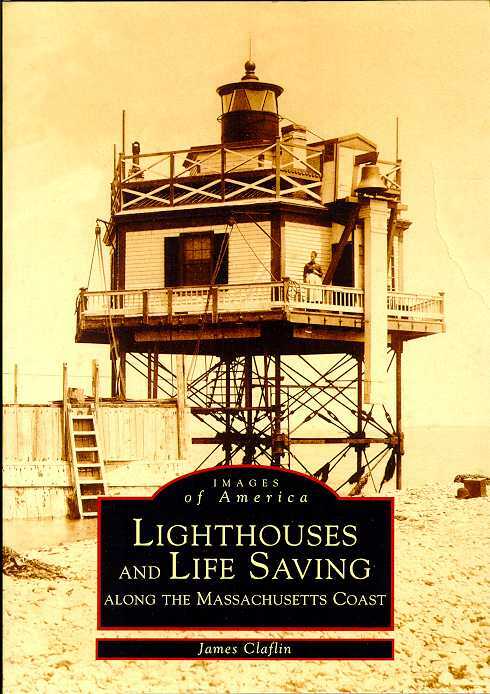 With over 200 vintage photographs, this is the fourth volume in a series of photographic histories of lighthouses and lifesaving along the coasts of the United States by the author. 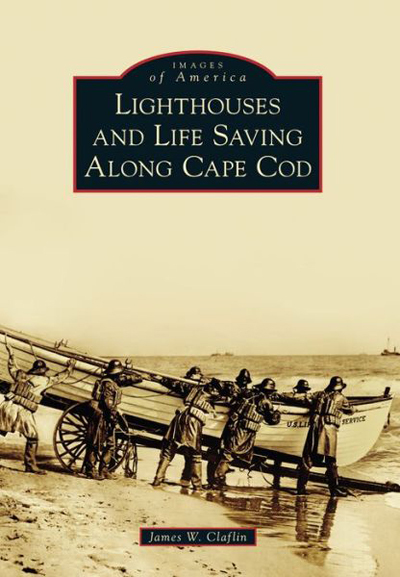 For centuries, heroic men and women have guarded the treacherous yet beloved Cape Cod coastlines. From Provincetown to Chatham, Sandwich to Cuttyhunk, and many towns in between, residents have relied on the Atlantic for employment and nourishment. But Cape Cod has always been plagued with a shifting coastline that consistently defies mariners’ efforts to pass through Massachusetts waters. 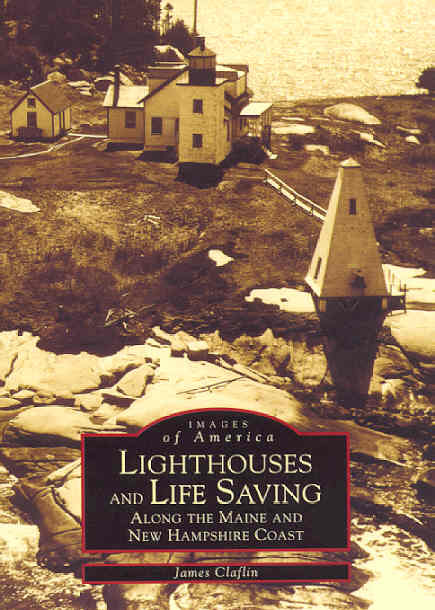 In 1792, as shipping increased, mariners petitioned for a sorely needed lighthouse. 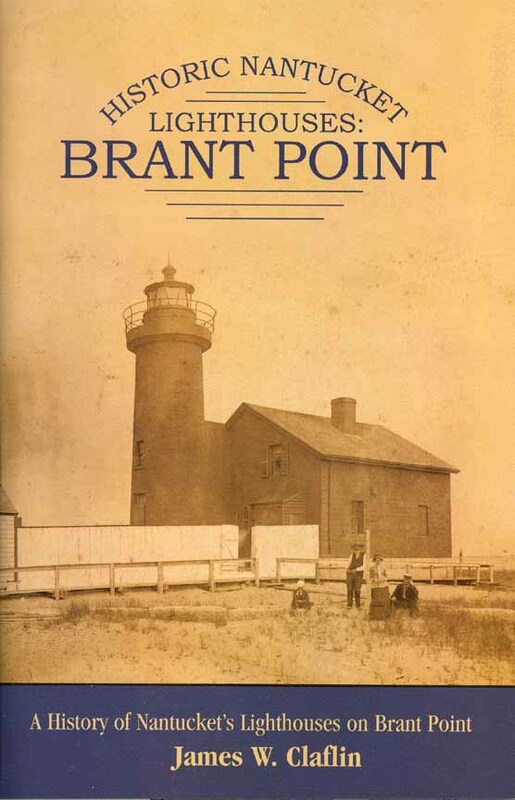 It was not until 1797 that the first lighthouse on Cape Cod was built at the Highlands in North Truro. More lights and rescue stations would follow as the seas claimed their toll. Many lightship stations were also established from Chatham through Nantucket Sound to mark the constantly changing sandbars submerged offshore—more than in any other spot along the US coastline. Today, as sea levels change and sands continue to shift, some of these historic stations have been lost or moved, while still others are preserved only in such photographs as these. This compact volume features over 200 early photographs dating from the 1870’s through the 1960’s, drawn from the author’s and other private collections, most never before published, and traces the history of these services through photos and text. (M). $21.99. 25344. Claflin, James W. HISTORIC NANTUCKET LIGHTSHIPS: NEW SOUTH SHOAL 1854-1896 - A History of Nantucket ’s Lightships on New South Shoal. Volume I. Worcester . 2005. 64 p. Soft wraps. 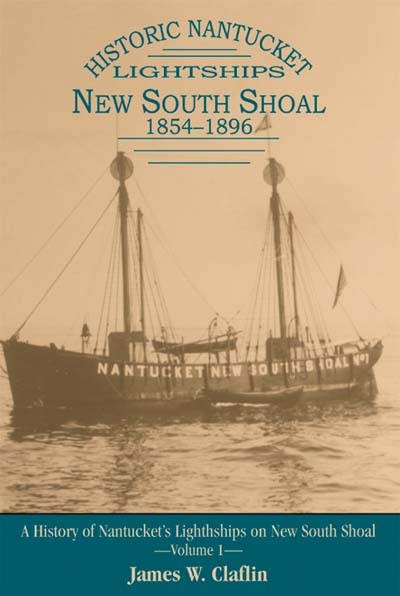 Historic Nantucket Lightships: New South Shoal 1854-1896 is one of a continuing series of booklets that tell the story of historic lighthouses, lightships and life-saving stations along the New England Coast . Nantucket Sound and Davis ’s New South Shoals have long been one of the most dangerous areas along the New England coast. By 1908 twelve light-vessels stood guard over this area southeast of Nantucket , more than any other comparable area in the world. With thousands of vessels plying the dangerous waters, the chance of a shipping disaster was always great. Hundreds of shipwrecks did indeed occur off the coast with startling losses. 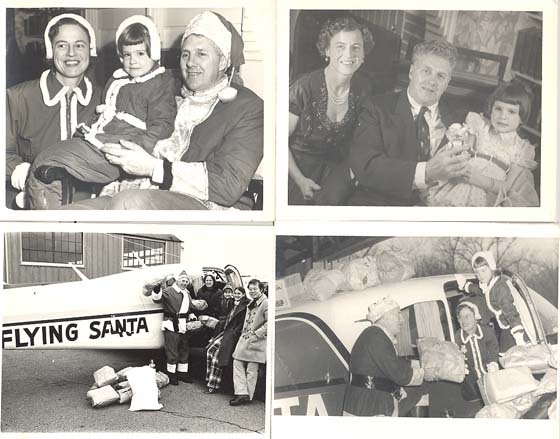 Using descriptive text and a variety of vintage images from private as well as museum collections, we get a rare glimpse into the history of the area and the lives of these dedicated government men and women. Author James Claflin combines an extensively researched text with his exquisite collection of vintage photographs, many previously unpublished, to tell the story of this important piece of history. (M). $8.95. 6697. 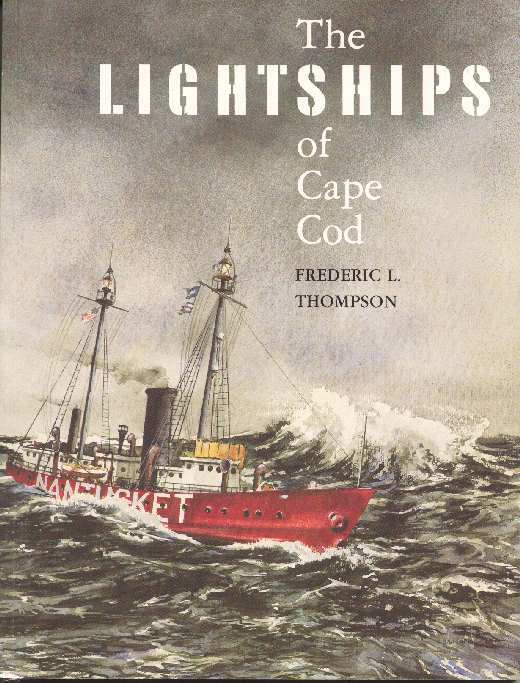 Thompson, Frederic L., THE LIGHTSHIPS OF CAPE COD. 1996. 2nd printing. 112 pp. Soft wraps. Signed by the author. Illustrated with over 93 beautifully detailed photographs. Much sought after, this scarce volume chronicles the history of the lightships in this vital area. Wonderfully detailed b/w photographs enhance the author's vivid description of the history and life aboard these vessels. One of the only volumes ever written exclusively on this subject, this fine work will make a fine addition to any library (M). $14.95. CP-01. 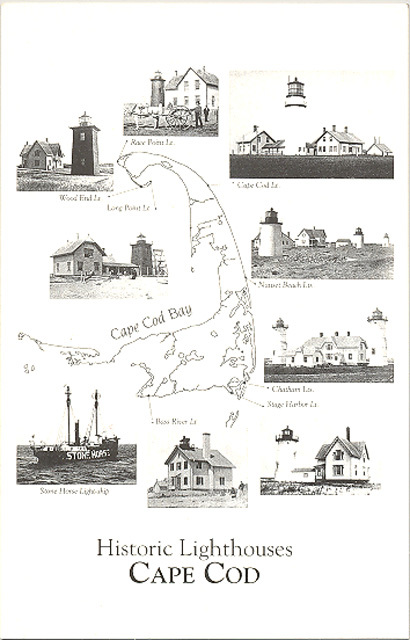 (print) Historic Lighthouses Cape Cod. The Historic Lighthouse series of prints uses rare photos from the 1800’s showing American Lighthouses in their turn-of-the-century splendor. Using sophisticated twentieth century computer enhancement, these specialized prints are produced on quality 80lb. bright white paper stock. Each print shows beautiful clear 1800’s views from original period photographs. These prints measure 18” wide by 24” high and, because of the fine quality, these make wonderful candidates for framing and decorating. Watch also for future prints featuring vintage photographs and architectural plans of other locations. (Actual size 18”w x 24”h, shipped rolled.). Historic Lighthouses - Cape Cod. Retail priced at $19.95. 27416. (panoramic photo) Race Point Light Station 2007 by James Claflin. 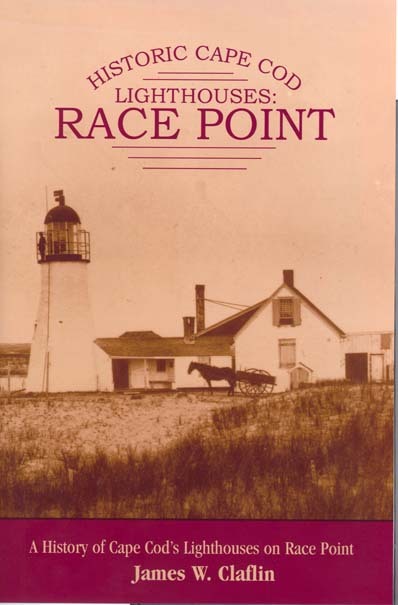 Lovely full 42” long, 4” wide panoramic photo provides a lovely view of the area surrounding the Race Point lighthouse. Taken from the lighthouse gallery, this unusual view includes the Light Keeper’s house, whistle house, oil house, Hatch’s Harbor and the entire surrounding dune and ocean area in a 360 degree view. A spectacular scene, this unusual photo print will be striking when matted and framed. Shipped rolled. (M). $59.95 plus $8 postage. 2448. Claflin, James W. EDWARD ROWE SNOW - A BIBLIOGRAPHY AND CHECKLIST. Worcester. 2005. 34 p. Revised edition. Soft wraps. Edward Rowe Snow, author, lecturer and historian, was born in Winthrop, Mass. and spent most of his life studying the lighthouses, islands, and legends of the New England coast. Mr. Snow has been credited with over 150 books and pamphlets as well as thousands of newspaper articles, lectures, and tours of the area. With his wife Anna-Myrle, Mr. Snow made hundreds of visits to light stations throughout New England. 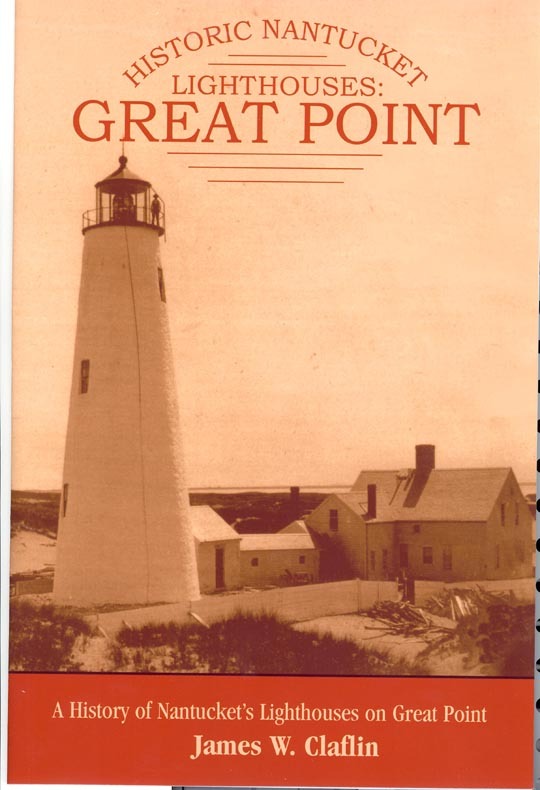 Today, many consider Mr. Snow’s interesting and readable accounts of life at these stations to have been the impetus launching an increase in lighthouse interest and preservation. Mr. Snow was most prolific over his 40 year writing career and enjoyed producing many wonderful special editions in addition to his regular published works. Hundreds of variations in his works included numbered editions, inserts of wood from famous shipwrecks or lighthouses, actual pirate treasure, tea from the Boston Tea Party and much more. In addition, over 50 varieties of folded maps were tipped into his various volumes and much more. This long needed bibliography lists thousands of his titles and variations including many of his newspaper articles and more. Long awaited information and wonderful as a checklist to assist in collecting his works. Includes a biography of Mr. Snow, listing of his mother’s published works, and more. (M). $16.95. Free shipping on wholesale orders over $200. Page updated July 10, 2017 . All text and illustrations on web site Ó James W. Claflin . 07/10/2017 All rights reserved. Use prohibited without written permission.